It has occurred to me that if I wait for Mondays to post reviews, The Writer’s Alphabet, and general blogs, I’ll never get through everything I want to share. Call me crazy, but I’m going to start posting when I have something to say! I hope you enjoy these random updates. What am I reading? Would I recommend it? And why? 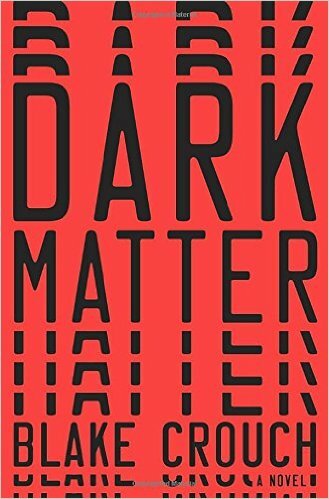 I recently finished the hard cover copy of Dark Matter by Blake Crouch. Not only would I recommend it, but I would consider rereading it. And if you’ve seen the stack of books to be read on my night stand, you know that’s high praise. The book was a Christmas gift. I was not familiar with the title or the author, but I was engaged by the flap write-up, “Are you happy with your life.” I was about a third of the way in when I happened to be watching a new show on TNT called Good Behavior. I recognized the writer’s name in the credits and immediately looked him up. Yep, same guy. Blake Crouch is also responsible for the Wayward Pines book series which the TV show is based on. I zipped through Dark Matter– always a good sign. I don’t read bad books quickly. There are definitely things I wondered about and times I questioned the author’s choices, but those moments were minor blips in a fast-paced, interesting, and fun-to-think-about story with a satisfying ending. I could go on with my critique, I have more to say, and if you’d like to discuss, please message me. I do realize that I may be doing you a disservice with a glowing review. I blame my disappointment with Wool on setting the bar too high. What can I say? Dark Matter delivers. This entry was posted in It's all about me, Writing and tagged Blake Crouch, Dark Matter, Good Behavior, I loved this book, It's no Wool, Mary Lamphere, Wayward Pines. Bookmark the permalink.